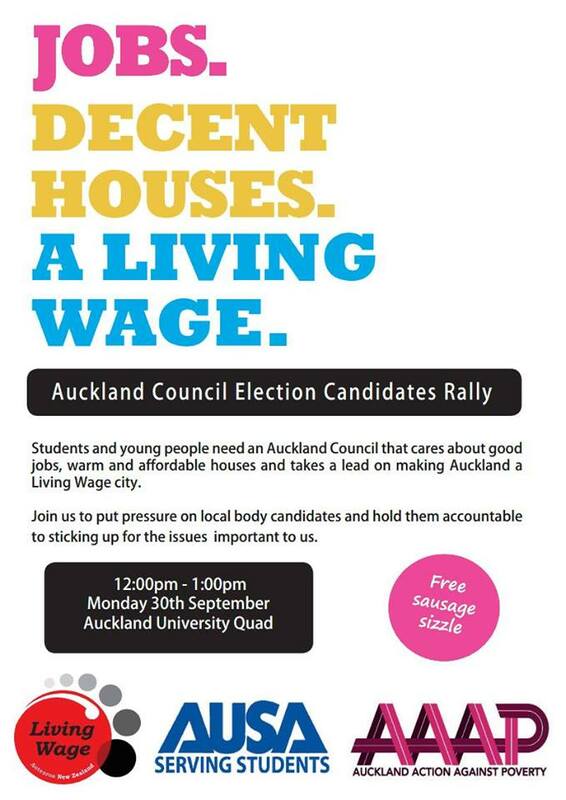 Living Wage Forum – Auckland University. 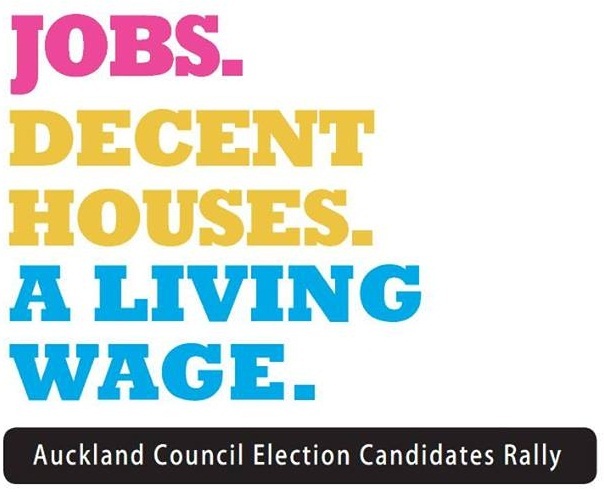 Students and young people need an Auckland Council that cares about decent job creation and warm and affordable houses, and that will take the lead on making Auckland a Living Wage City. 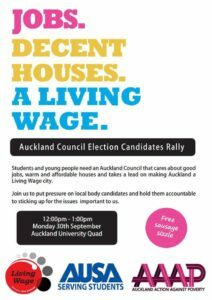 This forum will provide an opportunity for youth and student communities to hold these candidates accountable should they become elected during the local body elections. Join us in putting pressure on local body elections on issues important to us.